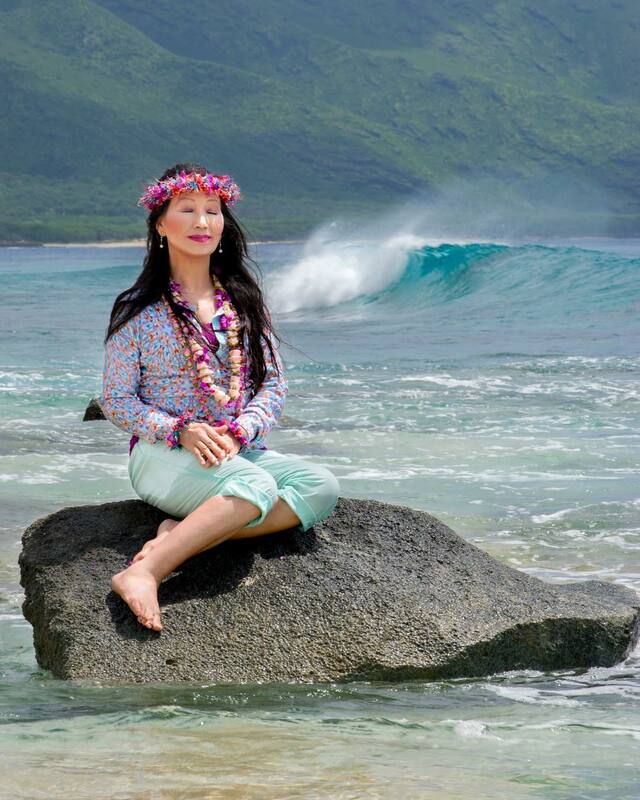 Wai Lana is an amazing personality; she has introduced many people to yoga as to aid them in their lives. We all know how yoga is beneficial for our physical, emotional and spiritual health. She is one of the most well-known yoga teachers in the world. She is a TV host for yoga series, director and also designs her clothes – Wai Lana is multi-talented. Wai Lana has also been a prominent TV star where she has played a vital role in making yoga popular among the five continents including North and South America, Asia, Europe, Australia, and the Middle East. Wai Lana is a global yoga icon, she has a very lovely family. She is the proud mother of three, and grandmother of six. She loves her family very much and spends happy time with them. She misses them in the shooting sets, sometimes the family also surprises her by visiting the shooting locations. They have fun, meals together at the sets itself. Wai Lana is multi talented-she is a songwriter, author, and a genuine advocate for peoples’ inner peace and well-being. Wai Lana has many passions that include yoga, music, and vegetarian cuisine. She is also a lyricist and has written all her famous songs like Namaste, Alive Forever, Colors and Oh My Sweet Lord. When it comes to health and food, she has her own chain of gluten-free snacks, meditation CDs, DVDs. Wai Lana’s outstanding effort to spread the teachings of yoga has touched the lives of all- from preschoolers to great-grandparents. Wai Lana was honored with India’s prestigious Padma Shri award for her extraordinary achievements in popularizing yoga globally. Wai Lana is one of only two Chinese nationals ever to win a Padma Shri award in its 62-year history. The Padma Awards are the highest and most well-known civilian awards in India for exceptional and distinguished achievement in a particular field of human endeavor. The TV series “Wai Lana Yoga” has aired nationwide for 18 years and is considered to be the longest-running fitness series ever on public television. In 2015, she produced her infamous music video “Namaste” to help the people around the world to learn the important wisdom of yoga and also to celebrate the first ever International Yoga Day on June 21, 2015. She wrote the Namaste song to help us “to remember one of yoga’s greatest lessons—humility and respect for others.” “Namaste” was included in an hour-long PBS special called “Wai Lana Yoga for a Better Life & a Better World” which aired nationwide. Wai Lana has also launched several yoga DVDs for people of all age group, developed teacher training programs, published books, designed kids’ yoga products, recorded music, and meditation albums, developed a complete line of yoga gear and even has her range of snacks. Everyone appreciates Wai Lana for her excellent yoga skills and her music that helps as a therapy to people for them to find enlightenment in their life. Yoga should be a part of every human’s life, and that’s what Wai Lana wants, to spread the message of yoga among every person on this planet. So it is ideal to start living your life in a positive notion, avoid any negative element with yoga wisdom shared by Wai Lana. This will help us to live fearlessly and embrace the beauty of aging and growing old. That way you will live a healthy and blissful life with no regrets and no guilt. Music is an essential part of our life, and that’s why we often turn to music during our happy and sad times. Now if you notice, we often listen to those songs that make us feel better. When we are in love, we listen to love songs, and when we are sad, we listen to soft songs. But the spectrum of emotions doesn’t limit here. Humans tend to have more than two emotions. If we feel angry, we also feel calm and so on. With aging, we often develop existential crisis or fear regarding death and to get away with it we make ourselves busy in our day to day lives. 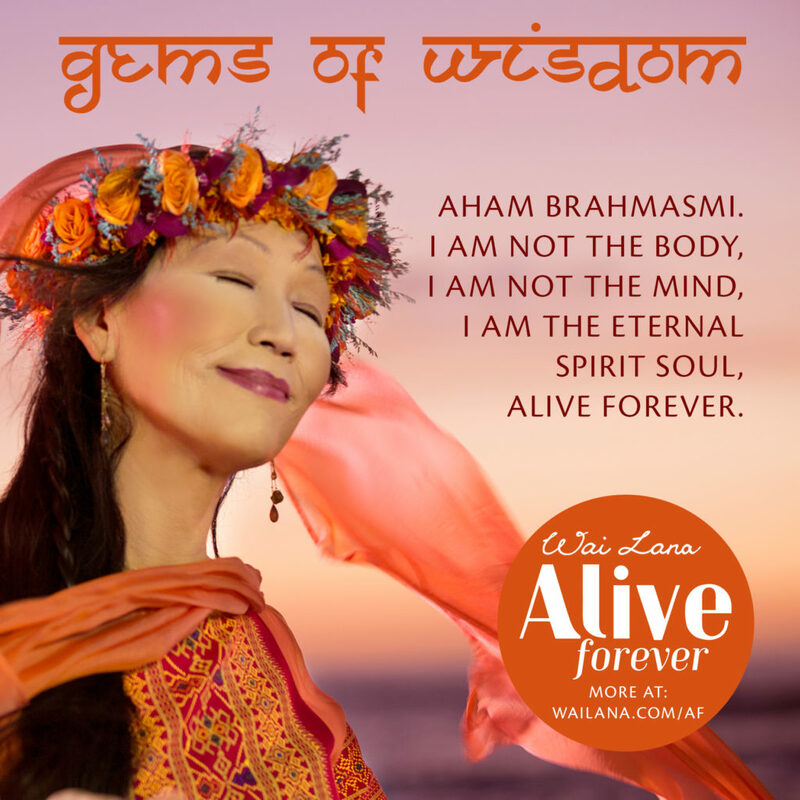 That’s why Wai Lana, an internationally-renowned yoga teacher & icon, wants to preach the teachings of yoga which can alleviate the fear of death and aging in her song “Alive Forever”. The song shares the wisdom from ancient yoga through the teachings called “Aham Brahmasmi”—I am the eternal spiritual being, I am not my body, and I will not die when my body dies. The short music film is an inspiring story which features people from all age group. It delivers the message that we should break the shackles of fear of aging and that we should embrace the truth. As Wai Lana sings, we can all be peaceful and happy knowing that we need not be afraid of getting old, as the true self is ever-youthful and ever-lasting. The song represents the truth about life. The lyrics of the song are well versed as every line pours out a golden message that needs to be heard and adopted by the listener. The fear of death and body aging has always been a part of human life. A human is born to serve his/her life term in this planet and then he/she has to die one day. It’s a bitter truth of human life, but that’s how it is something surprising. You are the spirit in essence and not the physical body; you can admire this and live fearlessly or stay alive forever. The music film talks about Aham Brahmasmi. This word has been taken from Vedic scriptures where the word Aham mean ‘I’ and Brahma mean ‘full’ and Ami means ‘am’ – I am Brahman. Once you understand the concept of Aham Brahmasmi, then even death cannot make you fearful. Brahman means that you are part and parcel of the Supreme soul and even after your death, you will continue to live. Also if your body decays, you will not die. One should be ready for everything in their life, and nothing should stop you from living their life fearlessly. We have to accept that death is something which is not in our hands. So rather than spending time being worried as for how can we relive the past or what will be our future, the best is to live the present to the fullest.